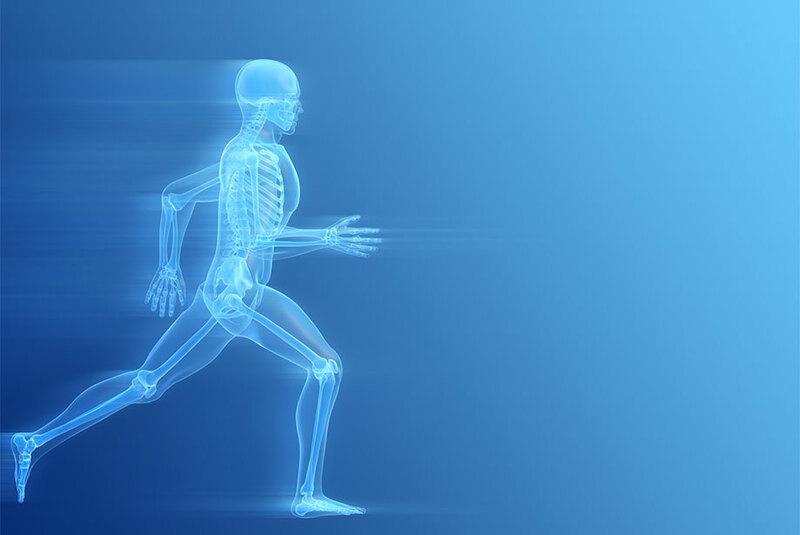 The skeleton provides structure and serves as a framework for the body. It is comprised of 206 bones that allow the skeleton to protect and support internal organs and body tissue. Common diseases that can affect the skeletal system include osteoporosis and leukemia. Hormones, such as estrogen, can also affect bones, especially when women reach menopause, which can lead to osteoporosis. Interestingly, bones can produce hormones as well. Osteoblasts are cells that synthesize bone. They can also produce the hormone osteocalcin in an inactive form that has been found to affect how we metabolize sugar and fat. In a recent study, it was suggested that osteocalcin could be a new target for preventing or treating diabetes and obesity. Osteocalcin has protective properties and has been show to increase energy expenditure and reduce blood glucose levels. Furin is an enzyme that activates osteocalcin, which is then released into the blood. In mice, in the absence of furin, inactive osteocalcin can build up causing an increase in blood glucose levels, leading to reduced energy expenditure and reduced insulin production. Surprisingly, the removal of furin also decreased appetite in mice. Furin has also been linked to arthritis and infection. Future work will be needed to identify other proteins that may regulate metabolism and appetite. Enzo is your resource for a wide variety of products for your Metabolism research needs. We offer a comprehensive portfolio of furin and osteocalcin products from antibodies, proteins, inhibitors and more. Our 25(OH)Vitamin D ELISA Kit is a complete, colorimetric, competitive immunoassay kit for the quantitative determination of 25(OH) Vitamin D in plasma and serum with results in just 1.5 hours. Highly specific, potent, irreversible, and cell-permeable competitive inhibitor of proprotein convertases.